Timber tower with access steps and slide and also incorporating two mini benches underneath. 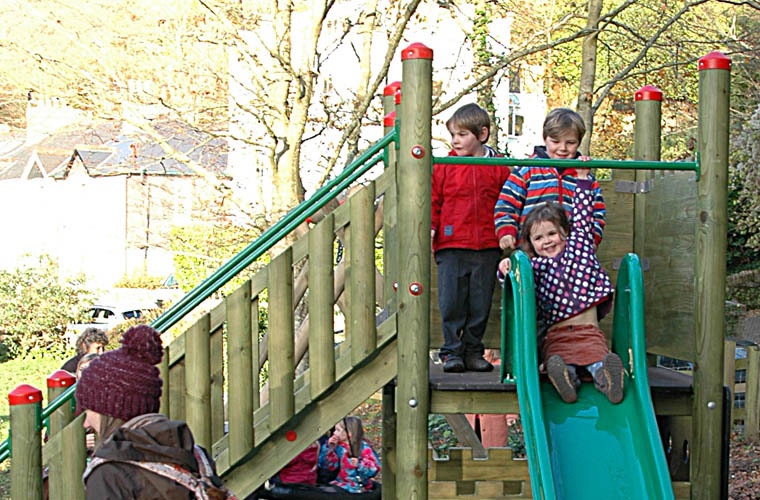 Castellated timber panels were a bespoke addition to the tower and lower play den area. This product is 4.0m in length, has quality rubber seats and stainless steel grip handles. 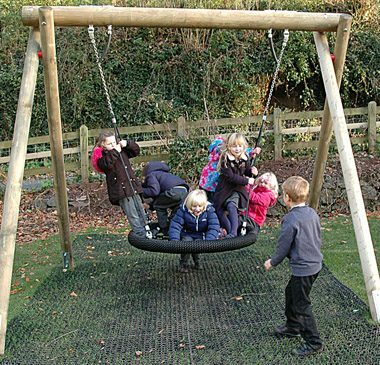 The Basket Swing has a timber frame specially designed to support the large basket. The heavy duty 1.2m diameter basket is constructed of a galvanised steel ring and herculean net rope and the supporting timber frame is reinforced with large washer plates. Safety chains are fitted as standard. 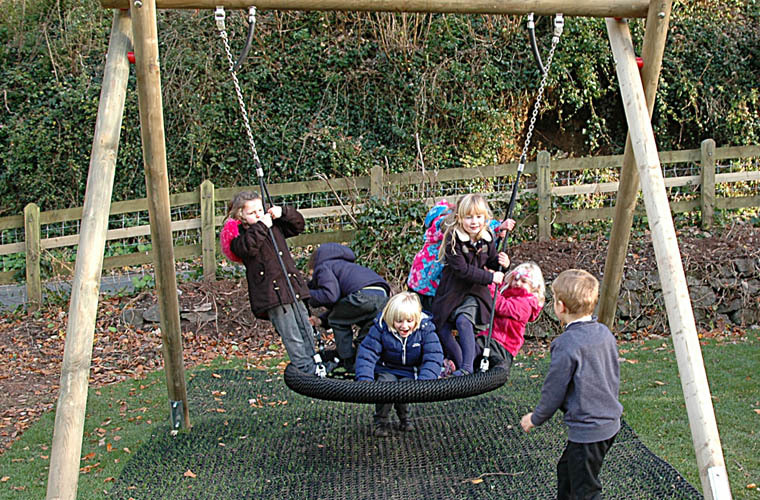 The Basket Swing has been designed to take several young children, or a couple of adults, and is ideally suited for children and adults with special needs. 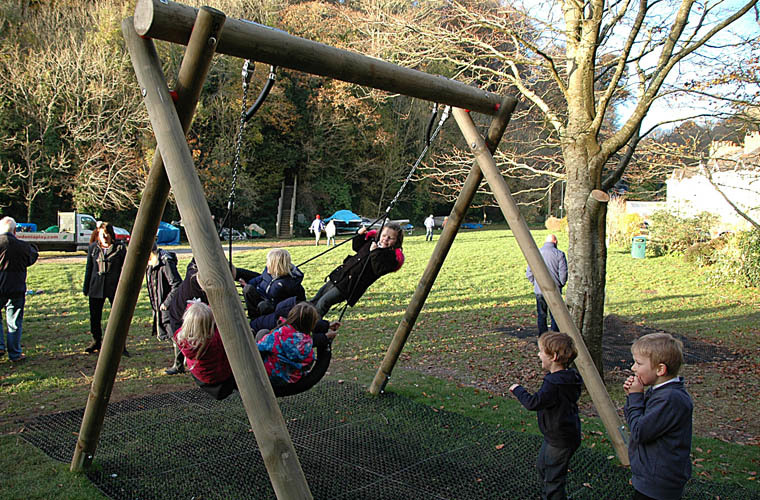 It is also popular with parents of smaller children as they can accompany them on the swing. A unique Timber boat was built to reflect the area’s heritage. It incorporates a large amount of seats and a large mast. 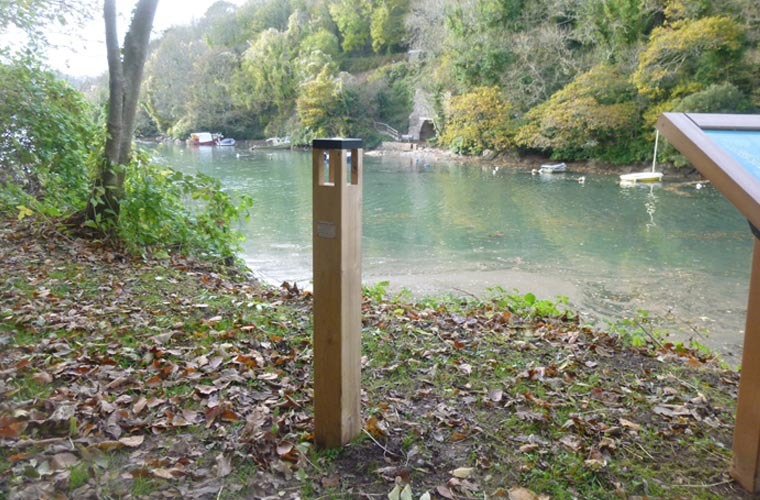 Our MagPost incorporates a scientific quality 5x magnifying glass on a hardwood post allowing children to examine objects up close. A fun seagull-shaped bouncy springer was installed for the littler children to enjoy. 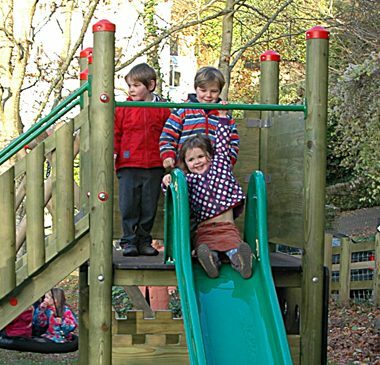 The timber products created were built using slow grown, dense timbers from sustainable managed sources, which carry FSC or PEFC chain of custody certification, Caledonia Play products meet European safety standard BS EN 1176. 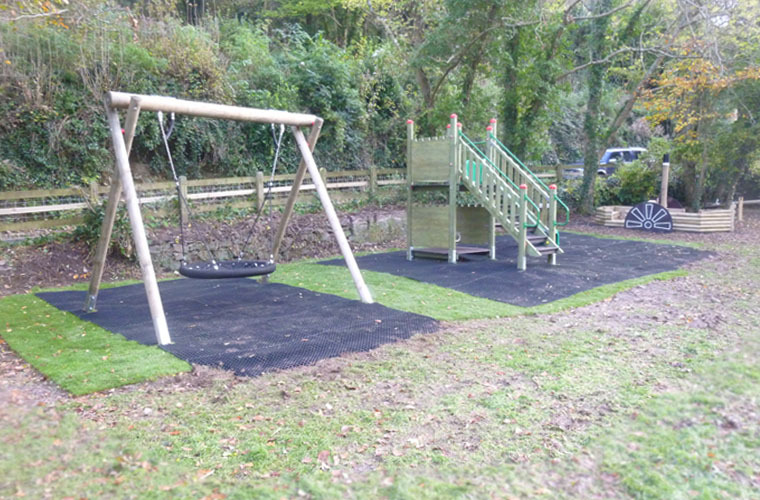 This is a case study of play park in Kingswear called Jubilee Park – a new play area created by as result of many members of the local community working together in Kingswear, England. 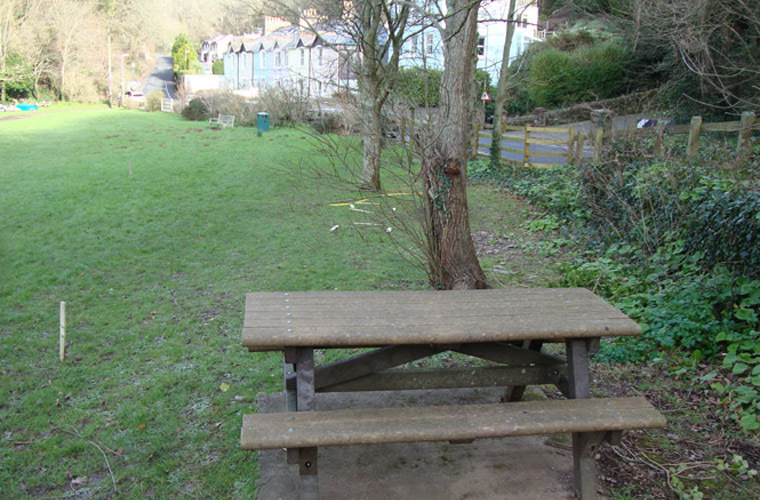 After much public consultation it was decided that Kingswear Parish Council would buy, install and maintain play equipment in Jubilee Park. 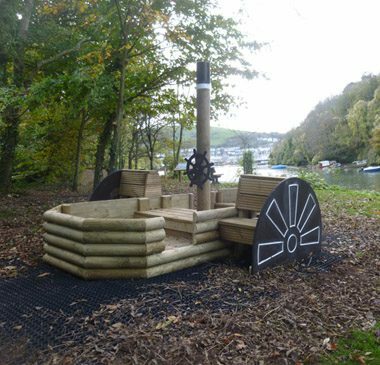 The Parish Council worked closely with parents, grandparents and Kingswear Primary School to put together a proposal for a small playground In Kingswear Jubilee Park designed for small children. 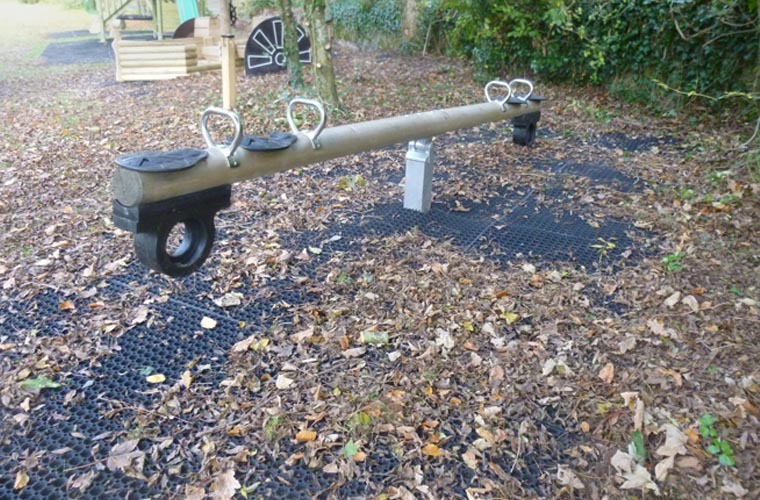 The former play park was less accessible for small children and pram pushing adults as they had much difficulty walking up a steep gradient to access it and that facility was rarely used as a consequence. 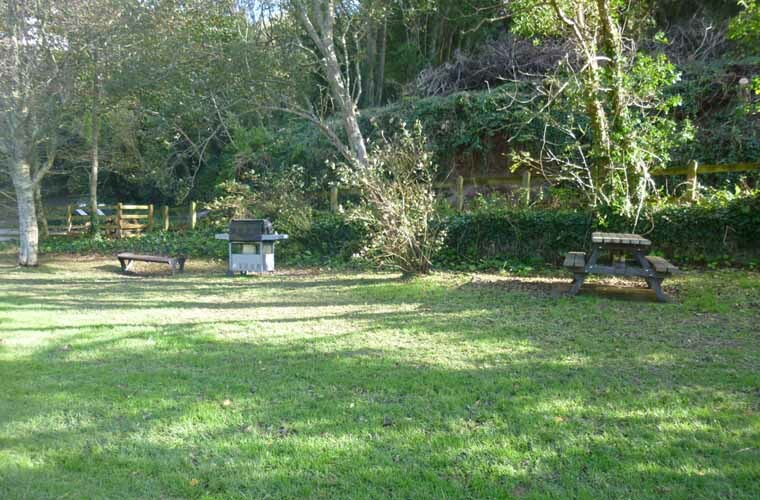 A small playground in Jubilee Park was a proposed alternative location provided that the play area was positioned to one side of the park so that it was unlikely to create problems with other people who use the creek for regatta, get-togethers, fun days and so on. 1. The equipment was to be made of natural, unpainted wood. 2. 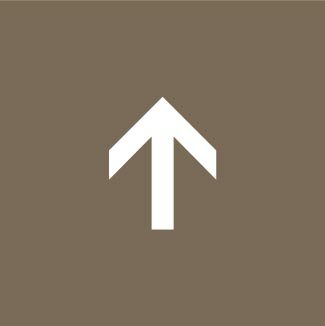 The height of the equipment was to be restricted. 3. Fencing was to include bushes and plants as well as wood fencing that matched that which already existed. 4. The ground surface would partly comprise of grass safety mats which would allow grass to grow through it. 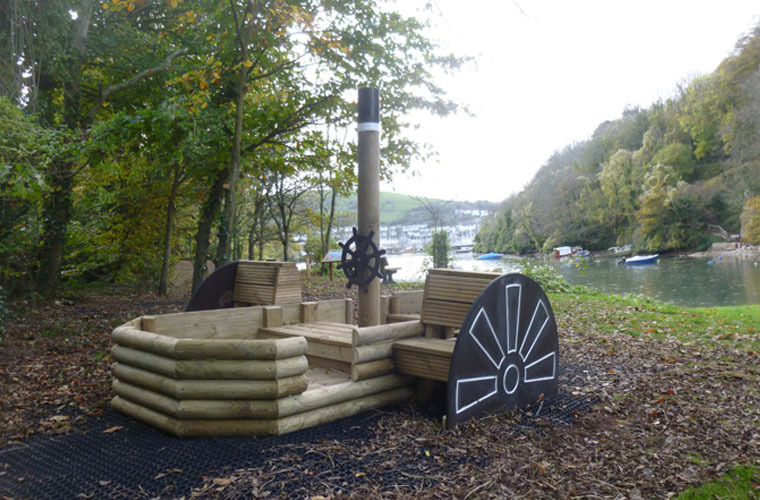 The children and staff at the local village school were very much involved and specified the equipment they would like including an outdoor teaching area in the shape of a boat which would seat 12 children. 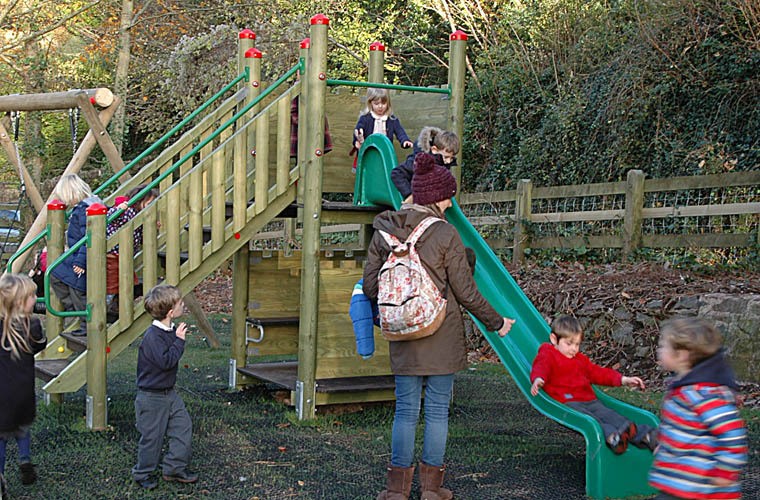 A selection of products including a Four person Seesaw and Play Tower were installed.